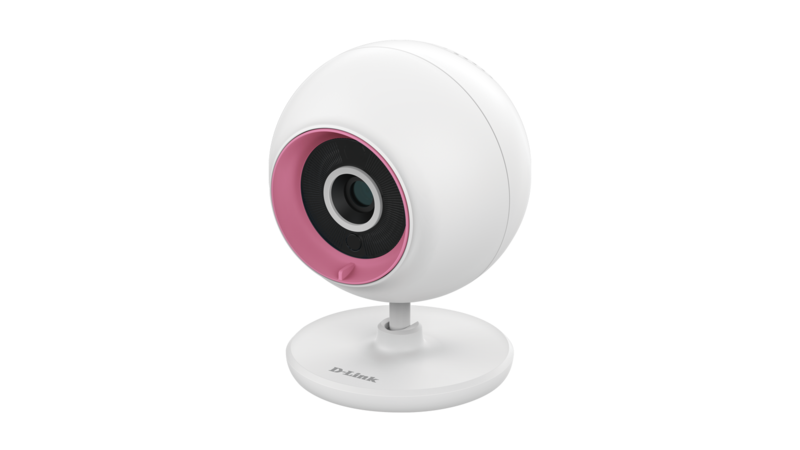 Keep an eye on your little one with the DCS-800L EyeOn™ Baby Monitor Junior. 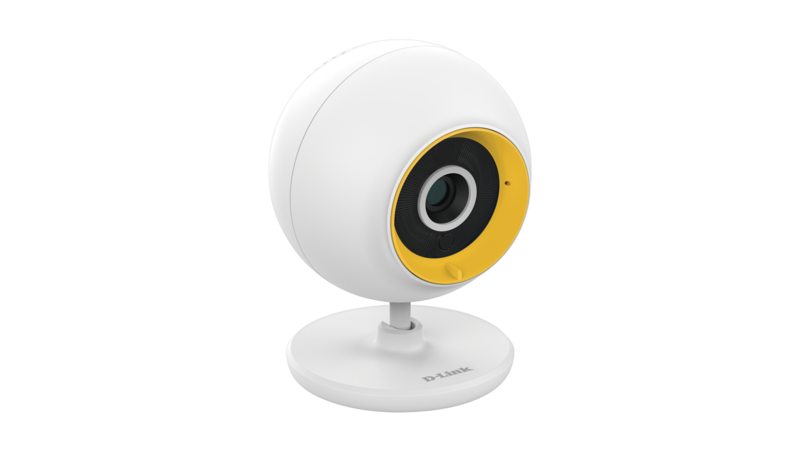 This portable camera transforms your mobile device into a versatile, yet easy to use baby monitor. Connect to the camera wirelessly or over the Internet so you can check on your infant no matter where you are. 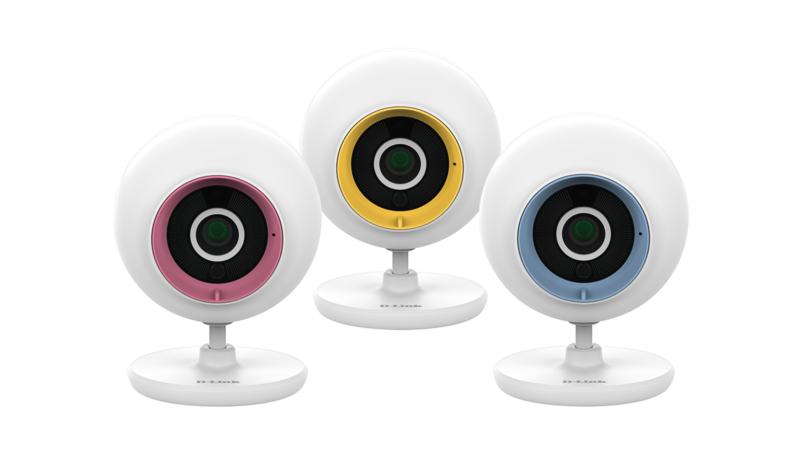 It includes a wide array of features to help you care for your child, including night vision, motion and sound detection. It can even play gentle lullabies to help ease your baby to sleep! Keep an eye on your little one with the DCS-800L EyeOn™ Baby Monitor Junior. This portable monitor transforms your mobile device into a versatile, yet easy to use baby monitor. 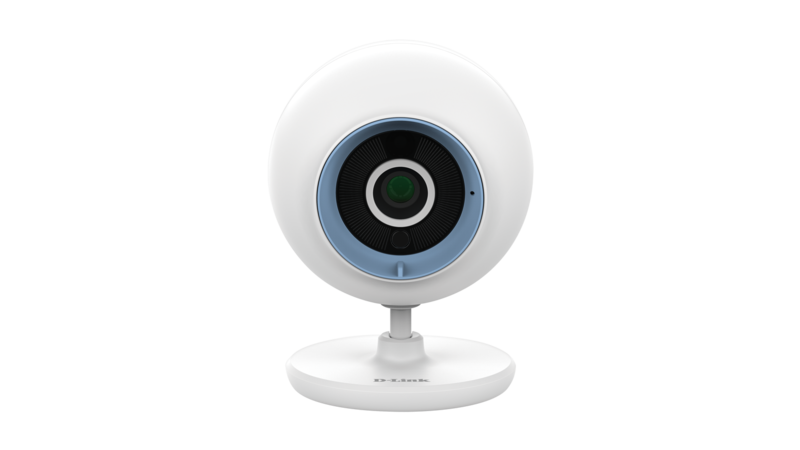 Connect to the monitor wirelessly or over the Internet so you can check on your infant no matter where you are. 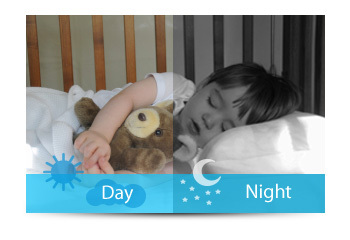 It includes a wide array of features to help you care for your child, including night vision, motion and sound detection. It can even play gentle lullabies to help ease your baby to sleep! Choose from 5 gentle lullabies to soothe your baby with the built-in speaker. The EyeOn™ Baby Monitor Junior is specially designed to make it easy for you to care for your baby. Its versatile all-day monitoring turns on night vision automatically when it gets dark, giving you a clear picture day or night so you can keep an eye on things anytime. 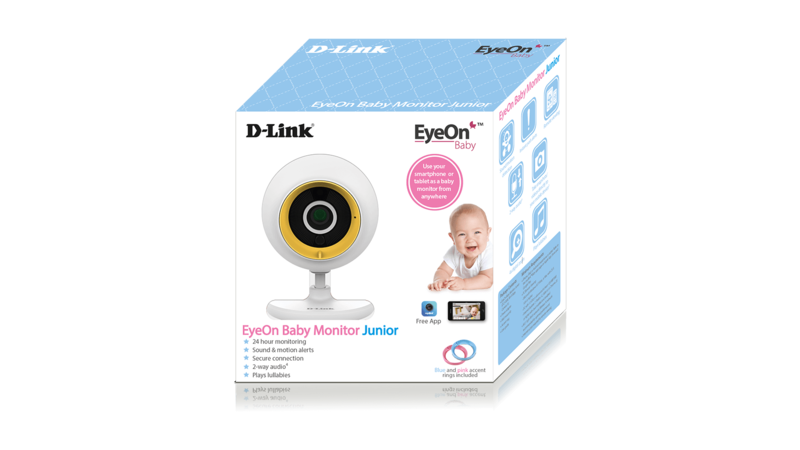 It’s perfect for use in the home, or even when you’re away; it’s mydlink™-enabled, which means that you can check on your baby remotely and securely over the Internet. Keep an eye on your little one day or night with up to 16 feet of visibilty in the dark. 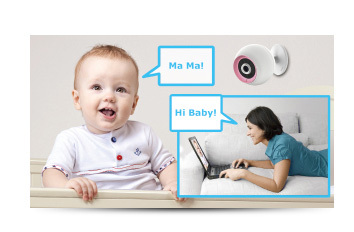 The EyeOn™ Baby Monitor Junior can send you notifications you when your baby needs your attention. It can detect movements and sounds, such as baby crying, and alert you immediately. 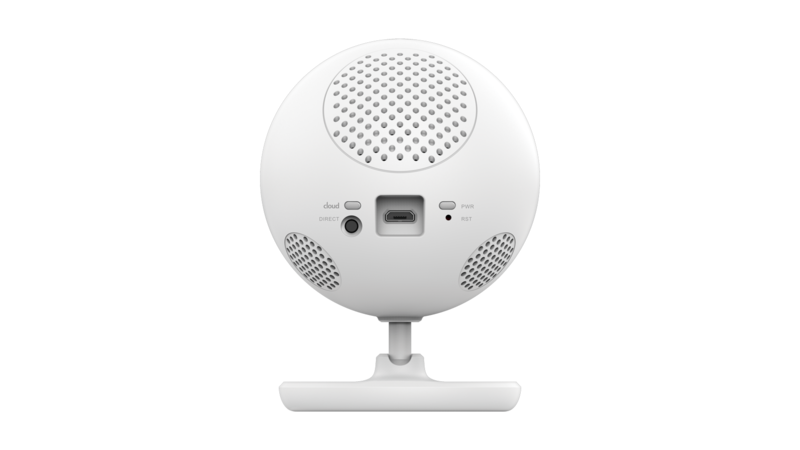 Not only can you see and hear your infant, but you can also comfort them with the sound of your voice through two-way audio2. Save your photos and video clips directly to your mobile device's photo/video folder for easy sharing. Recieve instant notification alerts when a movement of loud noise is detected. You can take the EyeOn™ Baby Monitor Junior with you when travelling with your child, even when there is no available Internet connection. Just connect your mobile device to the EyeOn™ Baby Monitor Junior’ wireless network for instant local monitoring, making it perfect for family holidays or just visiting friends. You can even connect it to an external USB battery1 for total portability! 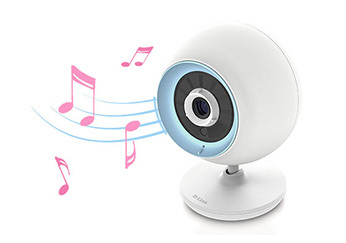 Whether you'r in the next room or away from home, comfort your baby with the sound of your voice. Getting started is quick and easy; the free mydlink™ Baby Monitor app for iOS and Android mobile devices not only guides you step by step through the setup process but also gives you an easy to use interface for all the advanced features of the EyeOn™ Baby Monitor Junior. Check on your baby at a glance, pinch to zoom in and out with ease or play one of five gentle lullabies to soothe your child. 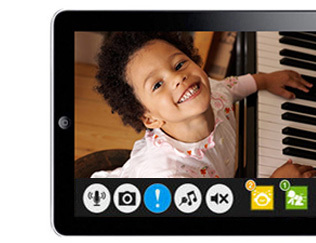 You can even take snapshots and video clips and save them directly to your mobile device! Just download the free mydlink™ Baby Monitor app for your smartphone or tablet and you can quickly and easily setup and view your EyeOn™ Baby Monitor Junior from anywhere with a wireless or 4G LTE/3G connection. You can also log onto the secure mydlink™ web portal on your computer to keep an eye on what matters most! 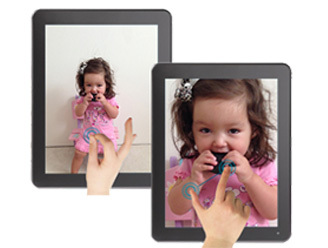 View more details of your baby with a few simple gestures. 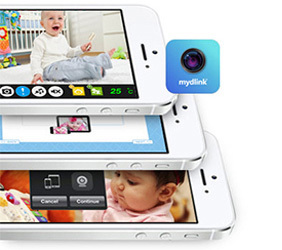 Whether you're at home or on-the-go, the mydlink™ Baby Camera Monitor keeps you connected to your baby and allows you to manage all of your camera's features directly from your mobile device. Even when an internet connection isn't available you can connect your mobile device to the camera's wireless network for instant local monitoring. Monitoring your baby has never been easier! 1. USB battery not included, requires at least 2 A output. 2. SD card not included. SDHC Class 6 card or above is recommended. Supports card capacities up to 32GB. This product was phased out on: 8.6.2017. 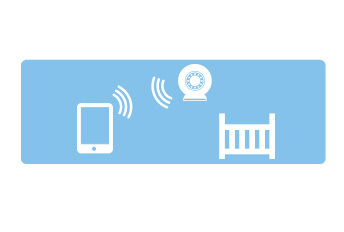 How to set up your EyeOn Baby Monitor.